The website company you've been looking for. Our error-free website code is validated to W3 standards. We'll be here as you grow. Over 18 years in business, we've served over 300 clients in 30 states. Clients rave about our quick turnaround times and our friendly personal service. "It's looking really nice!...We are thrilled with how fast everything came together." "Your work and ability to squeeze MPP into your schedule at the last minute helped me through a very stressful time!" "Just wanted to thank you for all your hard work and patience. 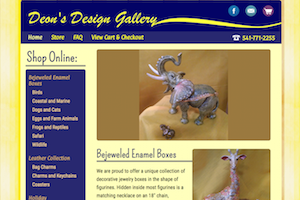 The site looks great...I have already gotten emails from friends that say they love it." "It's been extremely well received...Thanks so much and loving the look!"